Increased profitability, as they recognise the value that you offer and will pay the price you ask. More effective use of your sales and marketing spend. Can be served efficiently and effectively. The ideal customer has low acquisition costs and high lifetime value. If you need to visit the customer 20 times to convert the sale and involve lots of different departments then it’s probably best if they are not on the other side of the world. But on the other hand, if the end result would be a long term relationship generating significant profitability then this may be worth the investment. Just make sure you balance the two factors. Much better relationships will evolve if you have an understanding of your customers’ strategies and they are aligned with your own. For example, if you are a business developing cutting edge products, then identify the ‘early adopters’ that want to be working at the leading edge with you. This means they will accept the risk that things will not always work out as you planned and will stick with you to iron out the glitches. If you have shared values, then those customers are far more likely to be advocates for your solutions, provide case studies and references that lead to more ideal customers engaging with you. Why are you looking to change your supplier now? What are the specific problems which are prompting you to change? 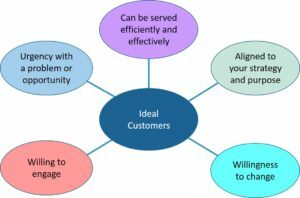 What does your ideal supplier look like? Technical buyers – the people who ensure that the specification is met and the product does what is expected. Economic buyers – the people who assess the ROI and overall effect on the organization. Without these relationships you will struggle to progress the opportunity to a successful conclusion. Worse still, you may get surprises through not having enough understanding of your customer’s needs. You may well be supplying your products through distributors or contractors and there may be outside influences that you need to engage with. A willingness from your customer to help you navigate your way through all the buying influences will significantly improve your chances of success. We all have too many things to do, your customers are just the same, so make it a priority to identify the problems and opportunities that are most important to them. If the problem you want to help your customer solve is not at the top of your customer’s ‘To Do list’ then you need to work out how to get it there. 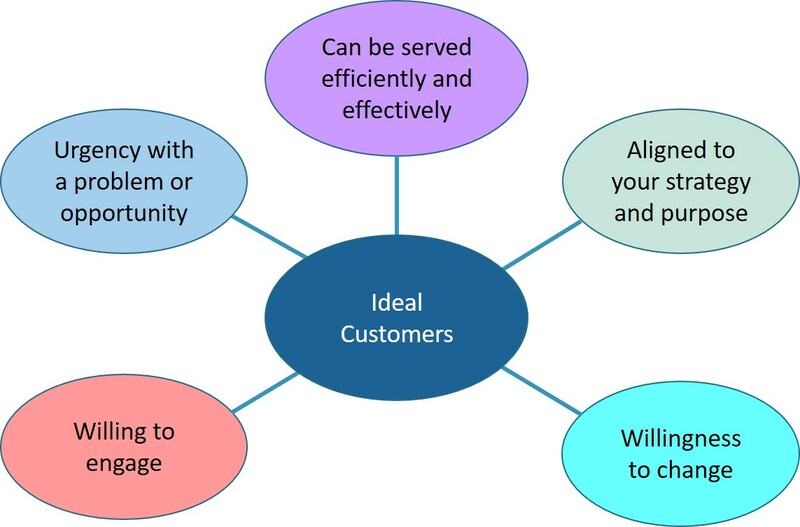 Identifying your ideal customers is the starting point for developing your business model and your value proposition. It forms the starting point for my workshop on developing value propositions, have a look at the 7 steps to develop value propositions.